Movistar Yamaha MotoGP rider Valentino Rossi celebrated the milestone of his 250th MotoGP™ start with a hard-fought third place at Silverstone. 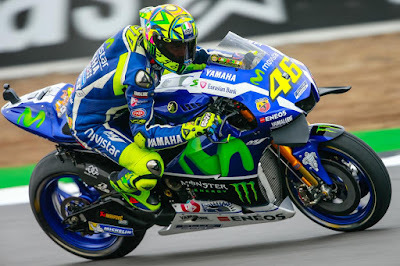 The Italian megastar, who has been participating in the premier class since the inception of the MotoGP™ era in 2002, kicked off his landmark race in style. He stormed from second on the grid to grab the holeshot before tucking in behind Maverick Viñales, but his assertive start to the race was short-lived when the race was red flagged. 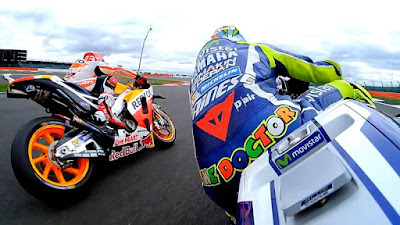 The opening lap to the shortened restarted race saw Rossi hold second place behind Cal Crutchlow into the first corner, but he had to let Viñales and Marc Marquez pass before the end of the first lap. What followed was a flurry of activity as Rossi, Crutchlow and Marquez contested second place behind Viñales who was clear at the front. A short lived challenge from Andrea Iannone came to an end when he crashed out of the podium hunt. Rossi was unable to fend off Marquez as the pair had a fierce battle, but The Doctor rode a smart end to the race, saving his tyres to seize the opportunity and take over third place when Marquez went wide. 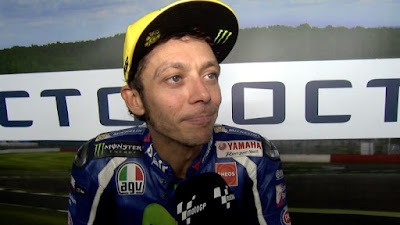 He held this podium position over the line as he rapidly approached Crutchlow in a last-lap sprint to the chequered flag, but he came just 0.583s short and wrapped up the day in third place. The results see Rossi hold second place in the championship standings, now on 160 points, with a margin of 50 points to championship leader Marquez with six races to go. Valentino Rossi: “For the championship these are just three points but I‘m very happy because it was a hard battle. I fought for the entire race and never gave up. Unfortunately, after eight or nine laps, I started to slide a lot on the rear, so it was very difficult to control the bike, but at the end it was very funny with Marc and Crutchlow and I‘m very happy with this podium. It was a great race and a great battle, a double battle because at the beginning of the race and also at the end it was great.